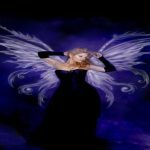 Welcome to Elves And Fairies group! Elves an imaginary supernatural being, commonly a little sprite, much like a fairy; a mythological diminutive spirit, supposed to haunt hills and wild places, and generally represented as delighting in mischievous tricks. Here you can add images of mischievous creatures with magical powers, beautiful elf man and woman in fantasy world. Feel free to add and join the group! Elves were originally thought of as ambivalent beings with certain magical abilities capable of helping or hindering humans, but in later traditions became increasingly sinister and were believed to afflict humans and livestock in various ways. In early modern folklore they became associated with the fairies of Romance culture.